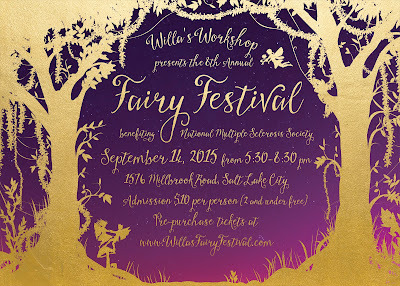 The FAIRY FESTIVAL IS MONDAY, SEPTEMBER 14th AT 5:30 PM. If you want to do something fairy-themed this weekend, please come find the fairy homes hidden in the gardens at the homes listed here. Happy hunting! Stay tuned for additional announcements and details. We hope to see you on September 14th! You can find the 2014 photos from our event here. Thank to Andrea Ludlow for your great photos! Here's a link to the photos from the Photo Booth at the 2014 event. Turns out fairies are very photogenic! Thanks to ShutterBooth Utah for the photos! We are pleased to have donated $22,000 to the Road Home. The money was earmarked for use in their women's and children's programs and we are proud of the good work they are doing in our community. 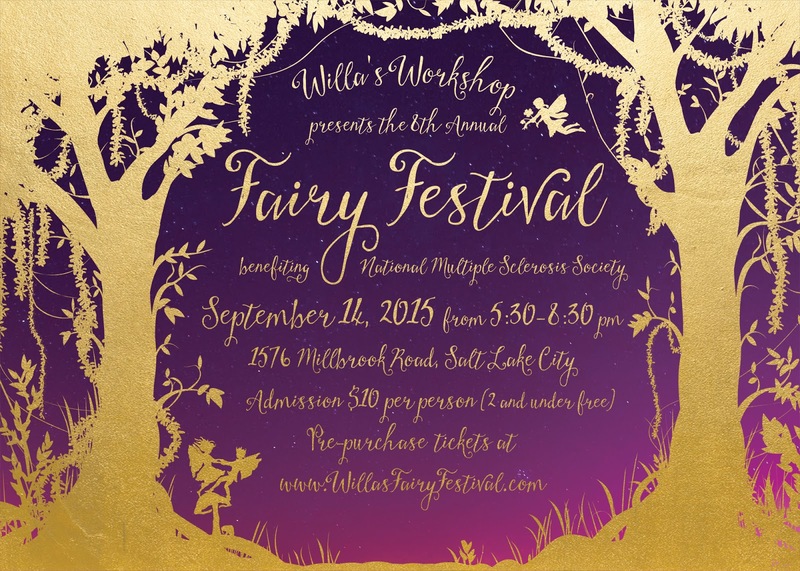 To date, the Fairy Festival has raised over $200,000 for various charities. Thank you for your support! Willa's Workshop. Watermark theme. Powered by Blogger.